Today we would like to announce the winner of Challenge #23- Funny Quote, Saying, or Pun! The winner of the Top Chef prize was chosen by Random Organizer. 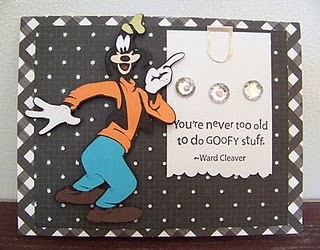 Amber created this punny card for her husband's birthday! How clever is that? Amber you can "pick up" your top chef button on the left column and proudly display it on your blog. 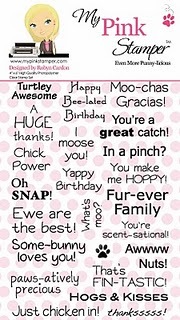 YEP…That’s Right…Robyn from MyPinkStamper.com graciously donated one of her super cute and punny Stamp Sets for this week's challenge. 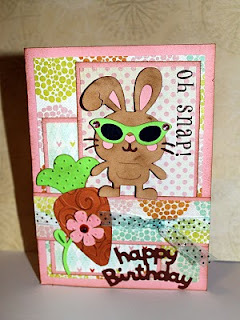 So, as the winner Amber will receive a set of Robyn's super cute and punny Stamp Sets. 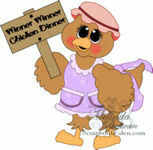 Amber, please contact Madison at FunkyCards @Charter .net (no spaces) within two weeks to claim your prize. 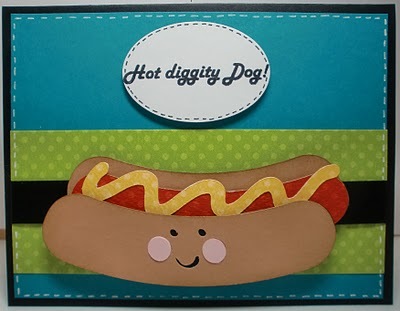 The Top Three Chefs were chosen by the Cooking With Cricut Design Team. 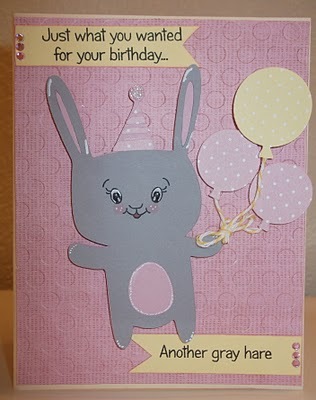 Thank you to all of the wonderful crafters who participated in this week's challenge. You can "pick up" your top chef button on the left column and proudly display it on your blog. So how is the weather where you live? Are you experiencing any April Showers? This week at Cooking With Cricut it is all about April Showers. You must design and create a project that includes showers, rain, water, etc. Please include something cut from one of your cutting machines such as the Cricut:) Once again you have until next Tuesday at midnight to post your projects. One winner chosen at random will receive his or her choice of digi stamp or cutting file from Papercraftingworld.com.